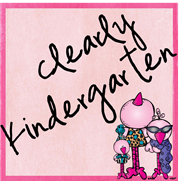 Clearly Kindergarten: What to Say???? I can't even imagine going through what has happened in Connecticut. My heart goes out to all of the families, loved ones and everyone touched by this awful event. Praying is the only thing I can think to do, besides hug my own kiddos tonight and students on Monday.